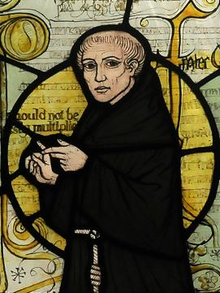 Occam's razor (or Ockham's razor) is a principle from philosophy. Suppose there exist two explanations for an occurrence. In this case the one that requires the least speculation is usually better. Another way of saying it is that the more assumptions you have to make, the more unlikely an explanation. Occam's razor applies especially in the philosophy of science, but also more generally. This means if there are several possible ways something might have happened, the way which uses the fewest guesses is probably the correct one. However, Occam's razor only applies when the simple explanation and complex explanation both work equally well. If a more complex explanation does a better job than a simpler one, then you should use the complex explanation. "We consider it a good principle to explain the phenomena by the simplest hypothesis possible". Ptolemy. Not only is Ptolemy earlier than Occam, but Occam's supposed wording cannot be found in any of his existing works. "We are to admit no more causes of natural things other than such as are both true and sufficient to explain their appearances. Therefore, to the same natural effects we must, so far as possible, assign the same causes". Isaac Newton. "Whenever possible, substitute constructions out of known entities for inferences to unknown entities". Bertrand Russell. In science, Occam's razor is used as a heuristic (general guiding rule or an observation) to guide scientists. Two meteorites have each taken one tree down and, after striking the trees, hit each other removing any trace of themselves. Even though both are possible, several other unlikely things would also need to happen for the meteorites to have knocked the trees down, for example: they would have to hit each other and not leave any marks. In addition, meteorites are fairly rare. Since this second explanation needs several assumptions to all be true, it is probably the wrong answer. Occam's razor tells us the wind blew the trees down, because this is the simplest answer therefore probably the right one. Example: A person is standing on the top of a roof and dropping a feather. In calculating how long it takes for the feather to reach the ground, to make the maths simpler, one might make an assumption: that the effect of air resistance can be ignored. This assumption makes the problem simpler, but is unlikely to lead to a good prediction as to the time it will take for the feather to fall. Thus, making the assumption that air resistance can be ignored is in this case not the "simplest" in concept, but the simplest in other respects (in this case, the maths). Not making the assumption here is the "simplest" in concept because it involves making fewer assumptions. Occam's razor also comes up in medicine. When there are many explanations for symptoms, the simplest diagnosis is the one to test first. If a child has a runny nose, it probably has the common cold rather than a rare birth defect. Medical students are often told, "When you hear hoof beats, think horses, not zebras". ↑ 1.0 1.1 "Ockham's razor". Encyclopædia Britannica. Encyclopædia Britannica Online. 2010. Retrieved 12 June 2010. ↑ Franklin, James (2001). The science of conjecture: evidence and probability before Pascal. The Johns Hopkins University Press. , 241. ↑ Ptolemy was a Greek who (probably) lived and worked in Alexandria, from about 85 to 165 AD. He is famous for his work on astronomy and geography. ↑ Hoffmann, Roald et al 1997. Ockham's Razor and chemistry. Journal for Philosophy of Chemistry. 3, 3–28. ↑ Gernert, Dieter 2007. Ockham's Razor and its improper use. Journal of Scientific Exploration. 21, 135–140. ↑ Elliott Sober 1994. Let's razor Occam's Razor. In Dudley Knowles (ed) Explanation and its limits. Cambridge University Press, 73-93. ↑ Singh, Simon (2004). Big Bang: The Origin of the Universe. New York, NY: HarperCollins Publishers. p. 45. ISBN 0-00-716221-9. ↑ Sotos, John G. (2006) . Zebra Cards: an aid to obscure diagnoses. Mt. Vernon, VA: Mt. Vernon Book Systems. p. 1. ISBN 9780981819303. This page was last changed on 28 December 2018, at 07:27.